ASUS India and Flipkart today jointly announced the availability of original ZenFone accessories for the fans. The accessories showcased here include, Travel Adapter, USB Cables, Type-C cables and ZenPower Duo (power bank). 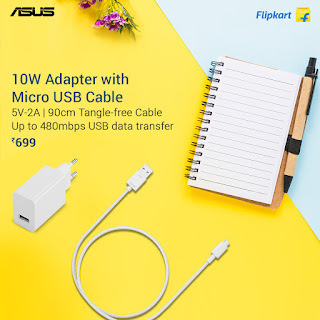 The range of accessories will be priced starting at Rs. 299 onwards. 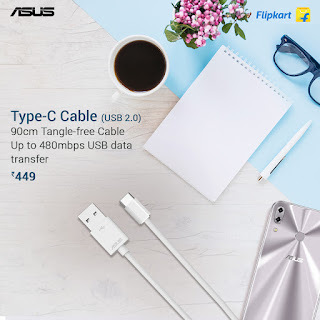 "Mobile Accessories is one of the fastest growing categories in Flipkart & with ASUS being a strategic and exclusive partner for Flipkart; we are delighted to provide customers with an option of choosing ASUS genuine accessories for their smartphones. 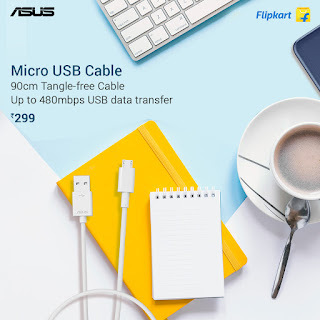 Flipkart is the largest retailer of Mobile Accessories in India, we endeavor to provide the best quality assortment at the most affordable prices and Asus helps to further augment that." says Hari Kumar, Senior Director, Electronics & Accessories.